Are you familiar with do a dot markers? They are kind of like BINGO dabbers and they come in different colors. Kids love using them! 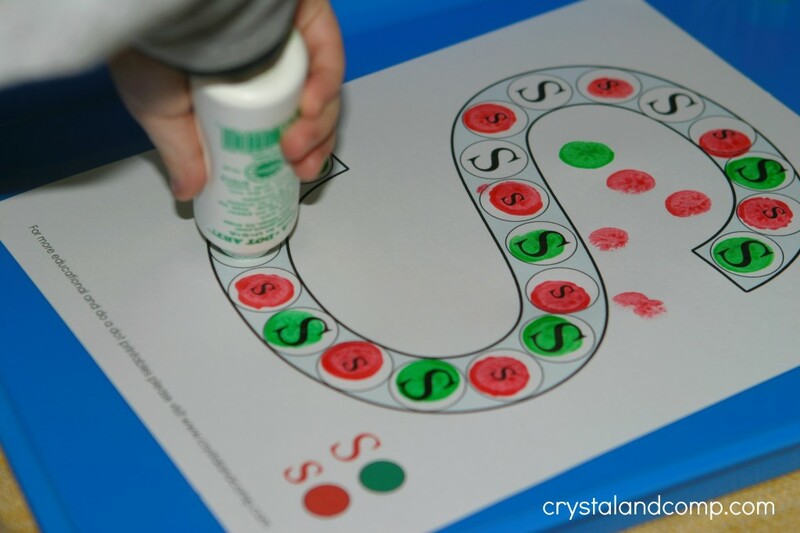 I am going to show you how you can use do a dot markers to help with letter recognition and fine motor skills in preschoolers. 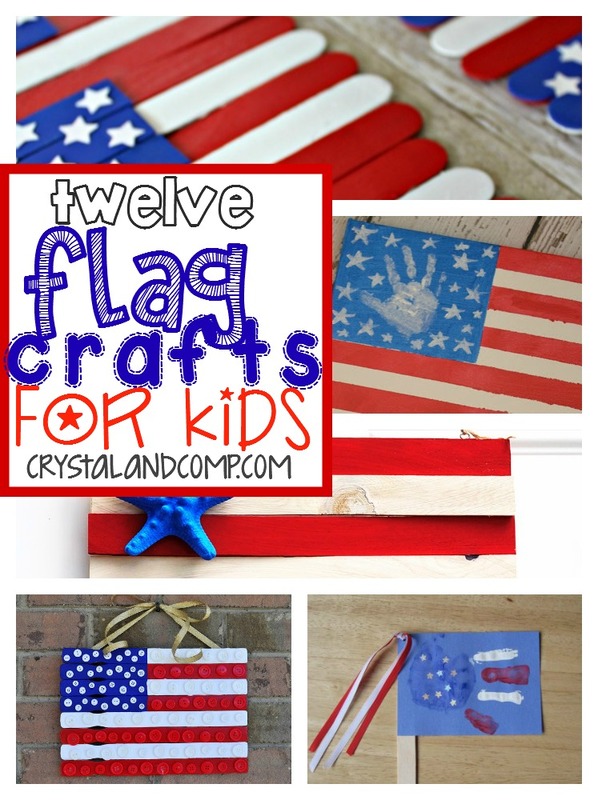 They will love these activities for kids. Are you ready to explore A is for Apple? 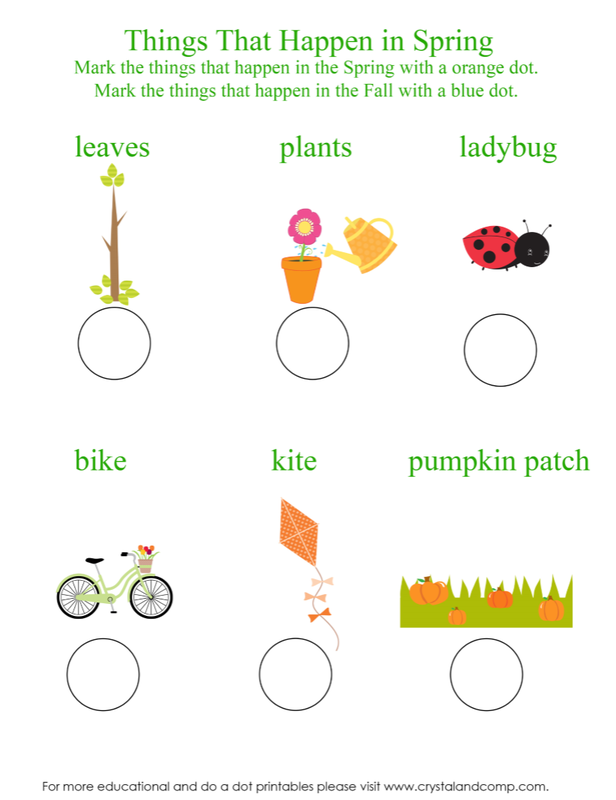 These printables are perfect as we welcome Fall and visit apple orchards! 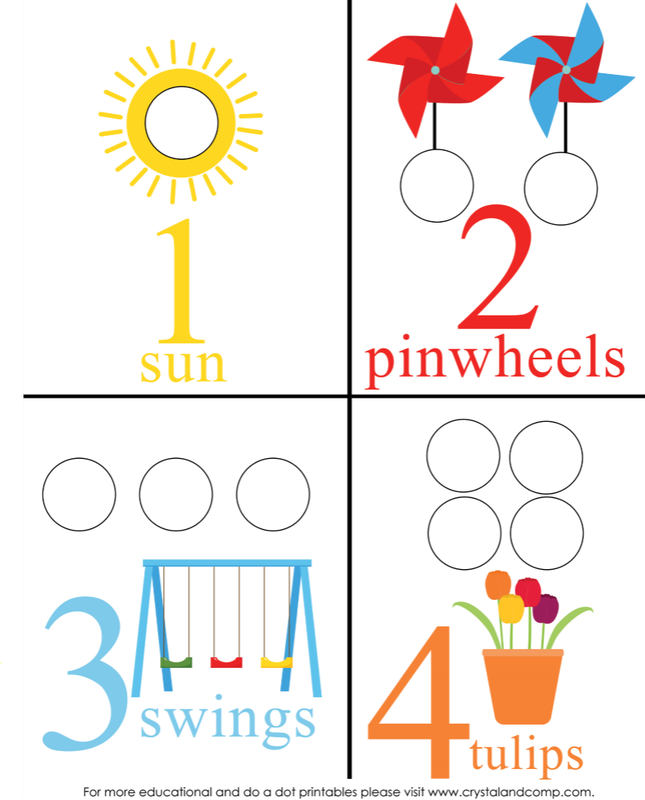 I am going to show you how to use these printables to make learning fun for your preschooler! WANT TO GET THIS PACK FOR FREE? 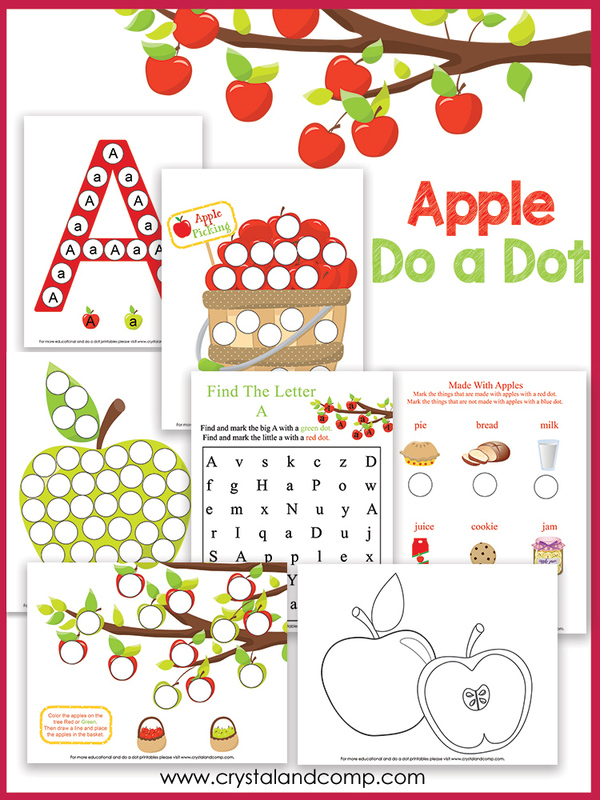 This seven page do a dot pack is FREE when you buy our 30+ apple activities for preschoolers. 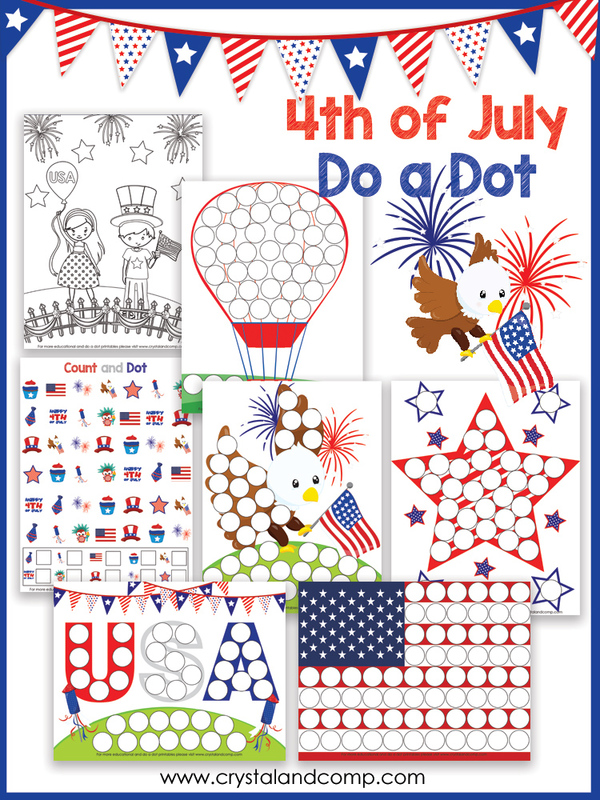 We love, love, love Do a Dot printables at our house. 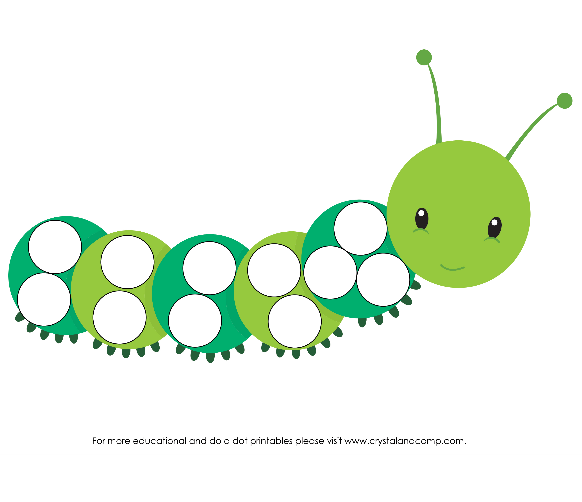 They are perfect for preschoolers and all young learners. They encourage fine motor skill development too. 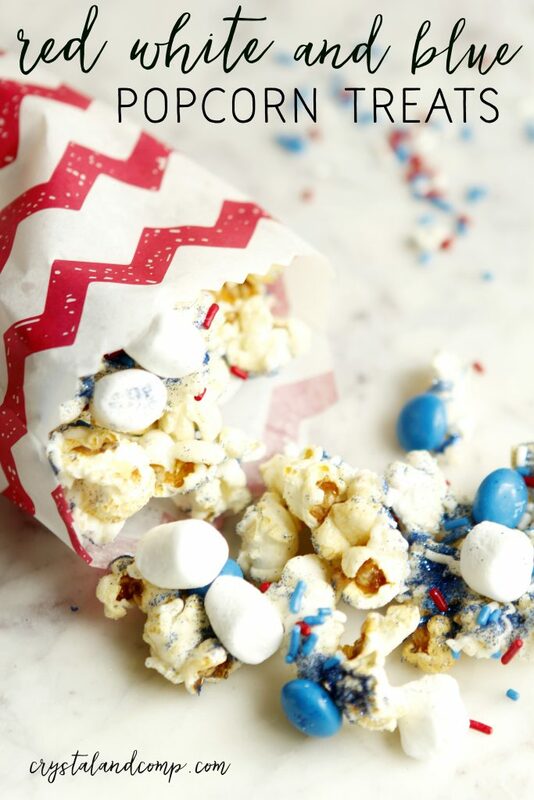 We created this 4th of July inspired theme. 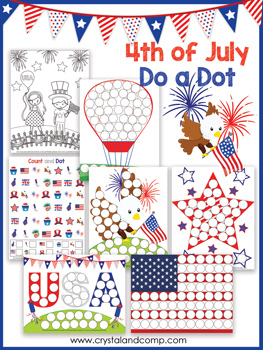 This pack is an instant download and includes 7 pages, 6 of which are all intended to be used with Do a Dot markers. One page is a color page. Don’t have Do a Dot markers? No worries, you can buy them here. Want to use something other than Do a Dot markers? You can use small erasers, stickers, pom poms, beads, etc. Be creative! One thing I love about this pack is the opportunity to challenge your child with developing patterns, color recognition as well as counting and simple math. These are perfect for homeschoolers, as well as for parents who are wanting to supplement for this kiddos this summer. 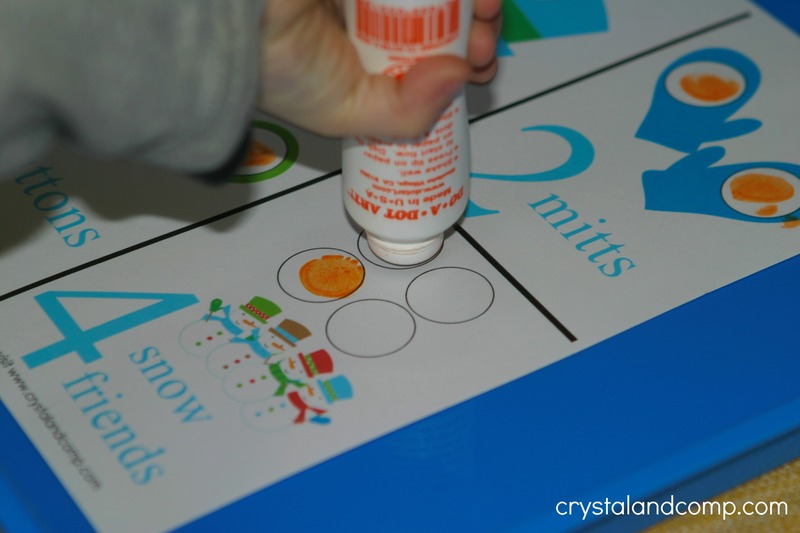 Your kids won’t even feel like these are educational because they are so fun! You can do one page a day or sit down and do all of the pages at one time. You know what else I love? These are perfect for travel and on the go! 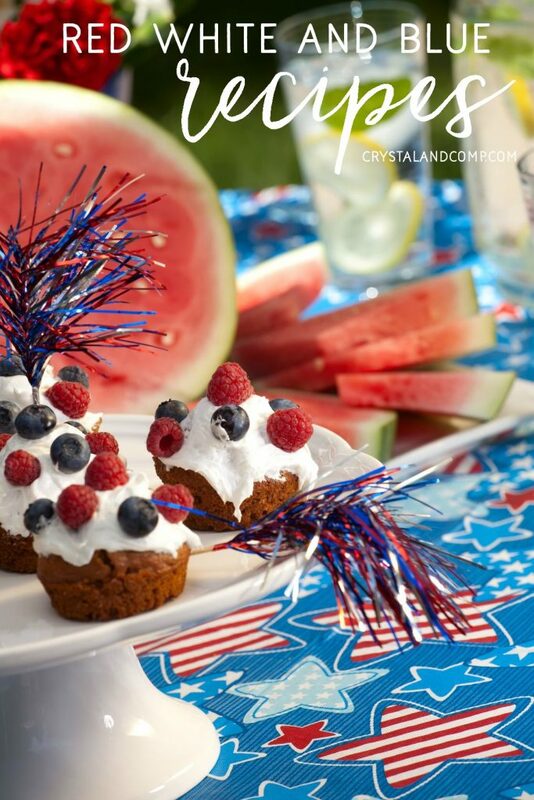 If you’re looking for more Fourth of July or Memorial day crafting or food ideas check these out! 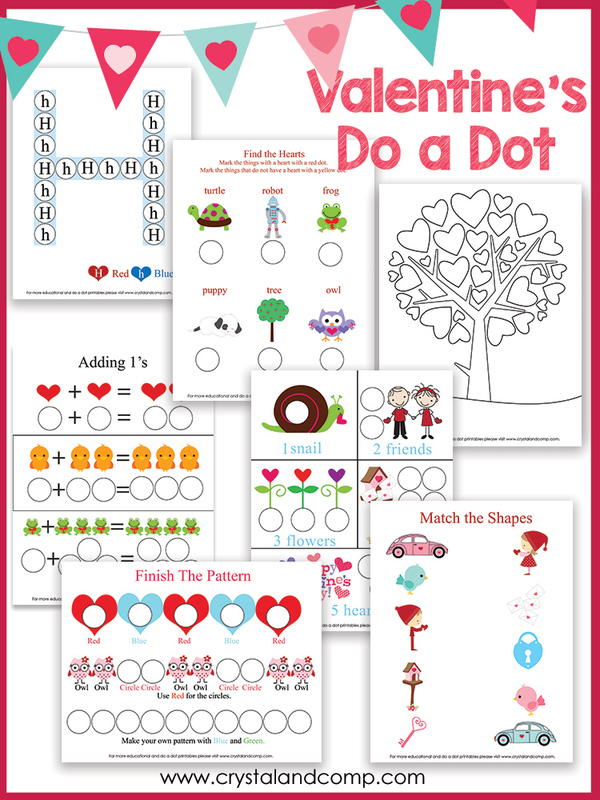 Are you ready for some Valentine inspired preschool do a dot printables? Last month we had lots of folks that loved the snowman packet. One reader even emailed me and told me that her husband used them in his classroom and all the teachers in his area loved them. This month we have a couple of additional skills added in. We included math, matching, tracing lines and patterns. I hope your little ones enjoy it. Print out the 8 pages of the packet. Do not feel like you have to go through all of the pages in one sitting. When Matthew was little we would spread these out over a couple of days. The first printable focuses on the letter Hh. I like to pull out my alphabet flip book (referenced above) and talk about the sound the letters make. 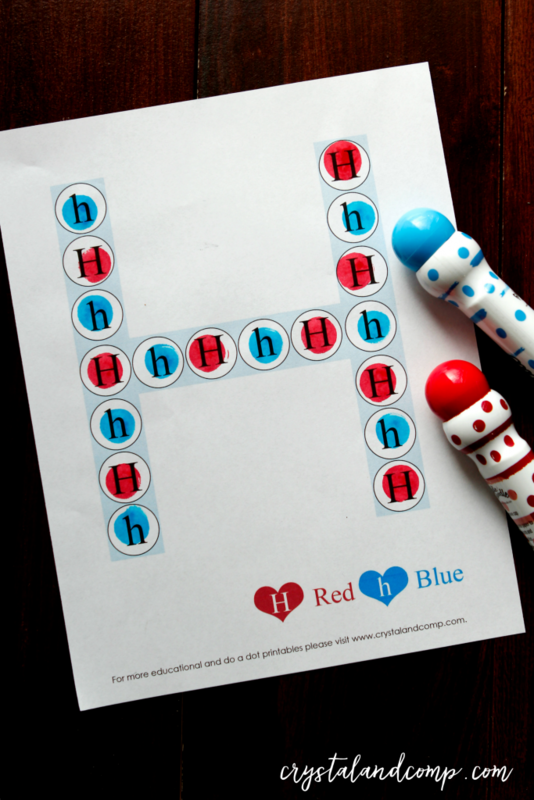 Use the Do a Dot markers to color the big H’s red and the little h’s blue. Another page includes adding by ones. 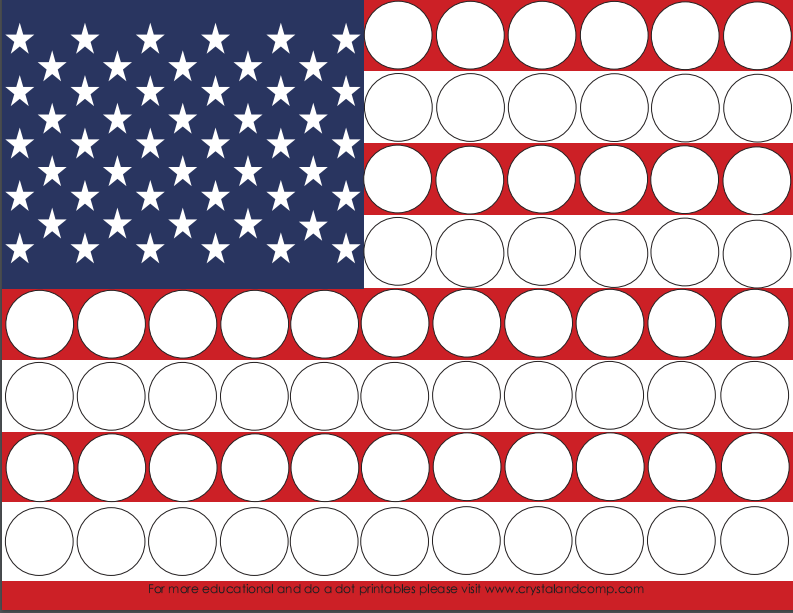 Count out loud as you mark the number of circles. 1,2,3,4,5! There are pages with adding, matching, etc. ( remember 8 pages total), but I also love practicing basic skills like line tracing. This can be done with the do a dot marker OR with a pencil. Tracing lines is important for learning writing skills, which we need for writing our alphabet. This page is one of Matthew’s favorite and one that all ages enjoy!! 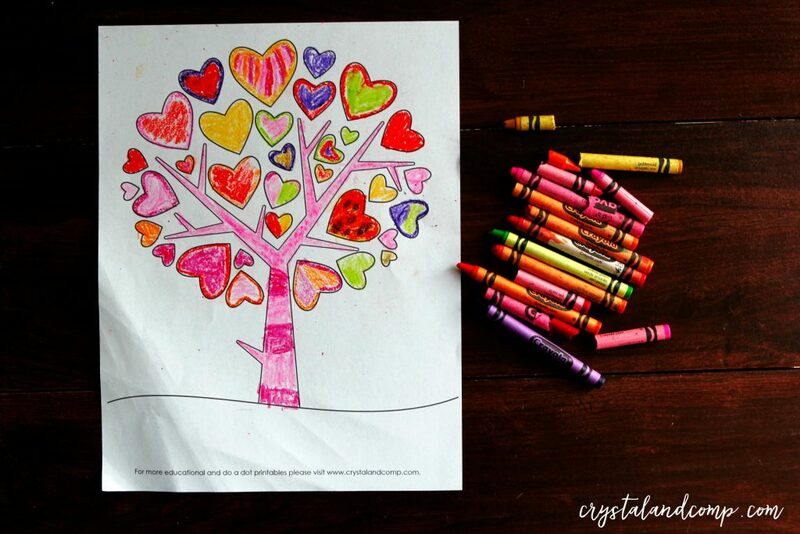 Use markers, crayons or watercolors to color all the hearts. Count them as you color them. A super fun pack you can use while homeschooling, for supplemental learning at home and for your Valentine play date or party. Grab it here. 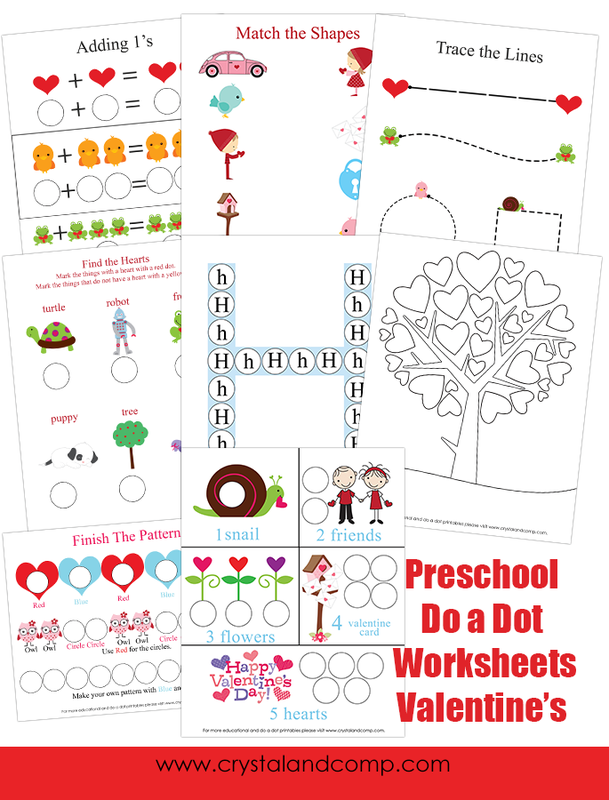 We have had so much fun with the preschool do a dot printables that I was happy to have themed monthly packets made for you guys, and myself, to use with our little ones. I will offer a new packet each month with a theme based on the season or upcoming holiday. This month the kit is a snowman theme. 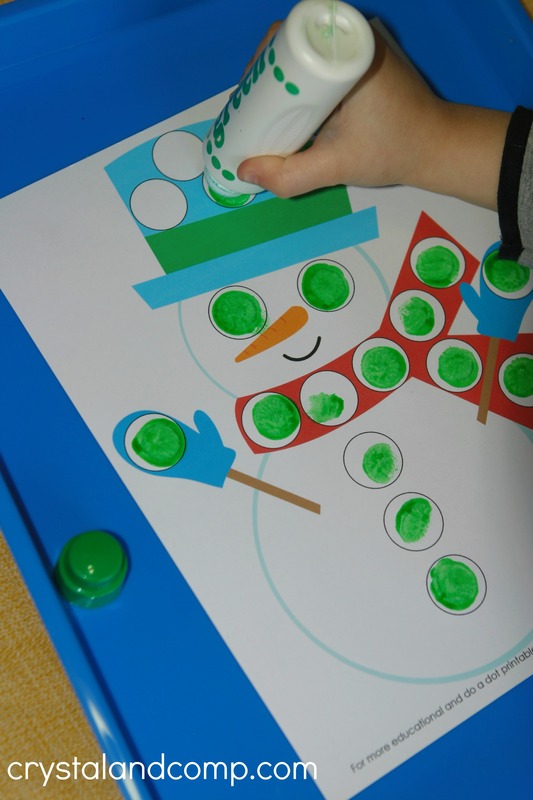 Do a dot activities are great for building fine motor skills, determining patterns, recognizing colors and so much more. 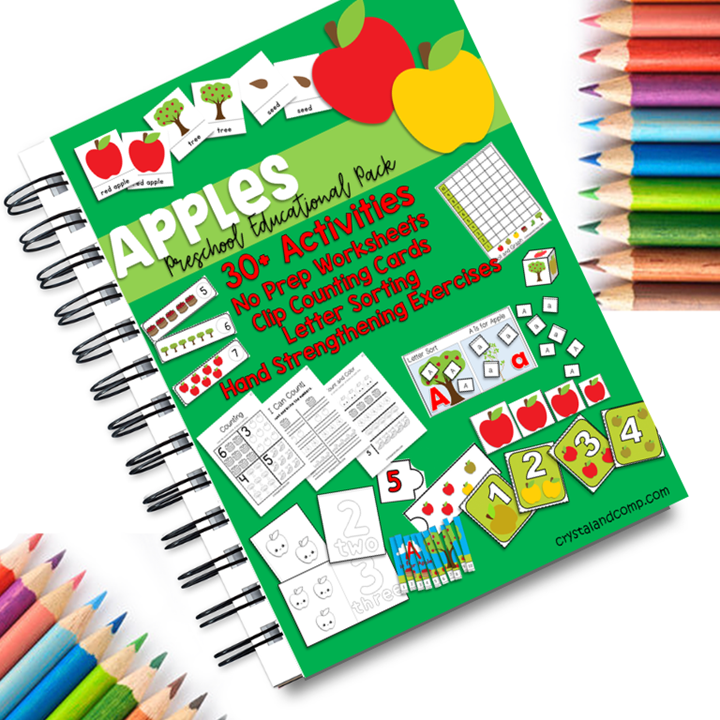 This packet includes seven pages with many do a dot activities as well as a color page, a maze, counting activities, patterns and more. Let me walk you through them all. Print out the packet. I like to print these on card stock. For the first page you can let them pick which color do a dot marker they want to use. Matthew chose green. 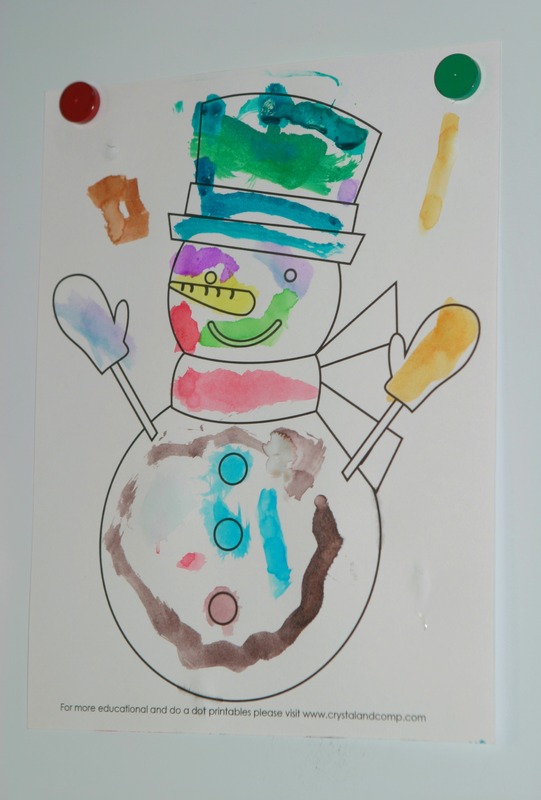 Let him use the do a dot marker to fill in the circles on the snowman. Then we pulled out our alphabet flip book. We talked about the letter that snowman starts with. We found the letter in our flip book. S is for snowman and s is for sock. Then we went on to the next page which has the letter S in the middle of the paper. The instructions tell you to use the green do a dot marker to find all of the big S’s and a red marker to find all of the small ones. Matthew likes to also make random marks on the paper. And the table cloth…. We are working on our listening skills. 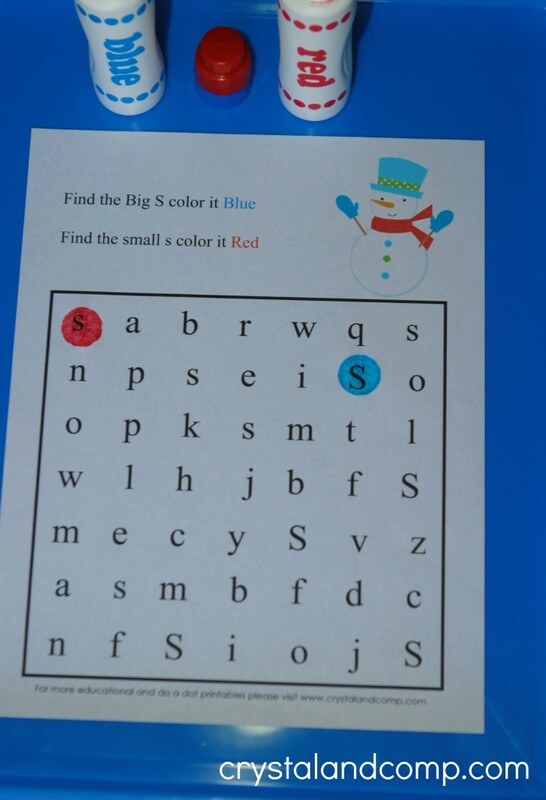 The next page tells you to find all of the big and small S’s and use specific colors to mark them. After this Matthew did not want to do anything else with the do a dot marker, which was totally fine. Feel free to split these pages into multiples days and even do just one or two a day if that works best for you. I just Matthew lead and I want learning to be fun. Matthew really wanted to do the color page, but he did not want to use crayons. He had his eye on the watercolors. He likes to mix colors. He likes to draw lots of lines with his watercolor brush. His fine motor skills when it comes to paining inside the lines are not very precise, but he really enjoys painting. One thing I encourage you to do is not to focus so much on their skill level. Are they behind, are they advanced, etc.? They are children. They are learning. Let them be. He loves to tell us about what he drew or painted. He told us what colors he made and walked us through the fun colorful lines be made. 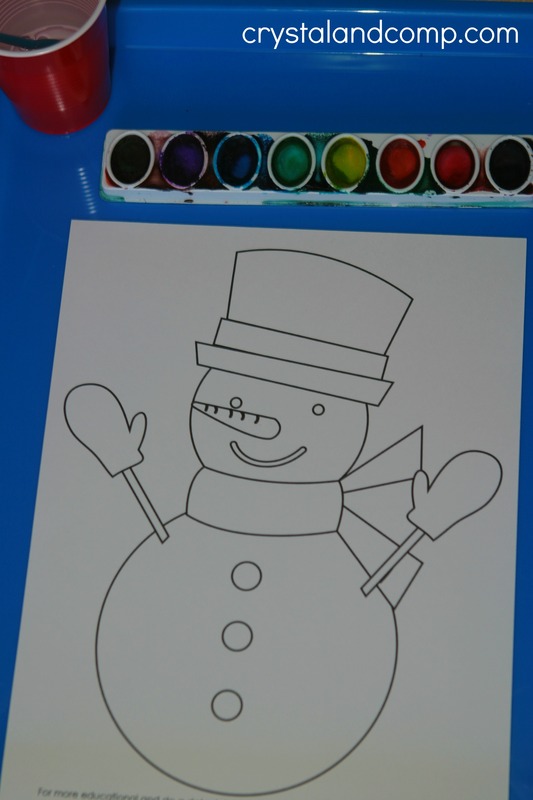 I loved this snowman, so I put it up on the dry erase board. I love that he gets to have the freedom to create what he loves. I also love that this was, in my head, a coloring sheet, but it worked perfectly as a watercolor sheet too! Then we went on the the next page where we counted the hats, the mittens, the buttons and the snow friends. We used the do a dot markers as we counted the circles in each section. And then Matthew was done. He wanted to go and run outside and play. So he and his brothers went into the backyard and did just that. We will finish up the last two pages another day, but here is how these pages work. 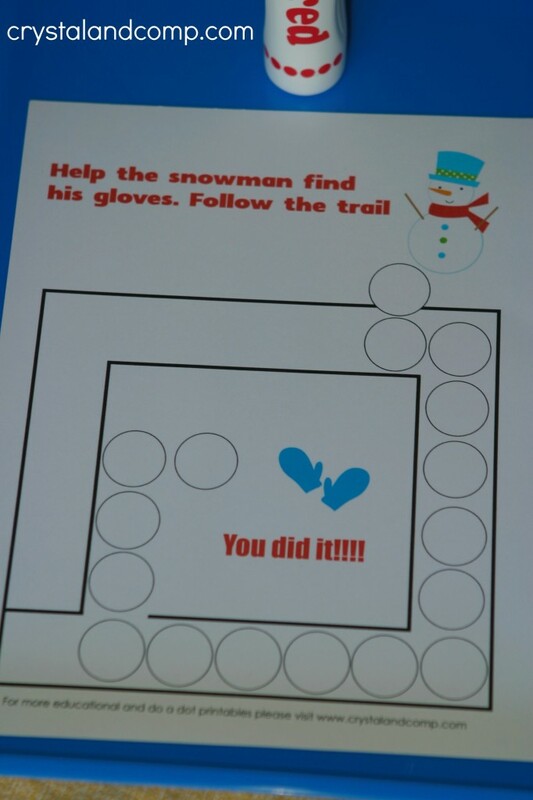 In this page you use the markers to get through the maze to help the snowman find his mittens. It is a very basic maze, not complicated whatsoever. Again, you’re building fine motor skills. For a more advanced student, let them create a color pattern with the markers as they go through the maze. The last sheet is fun. 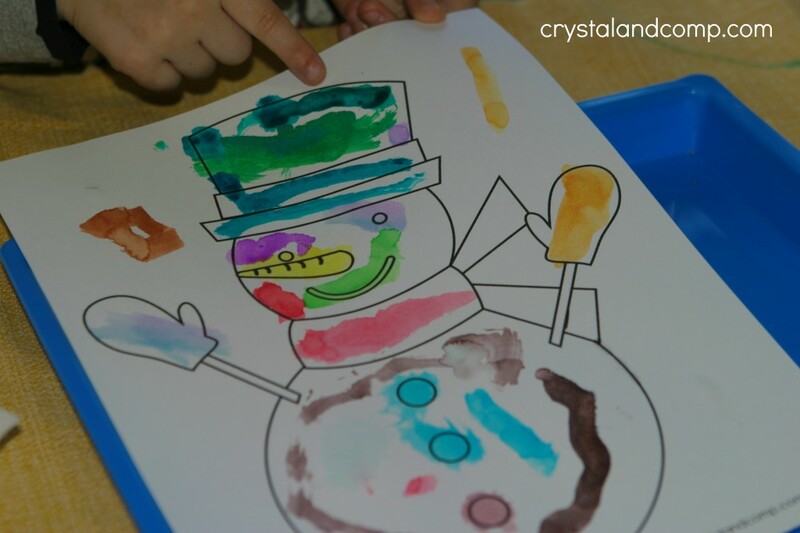 Let your preschooler use the indicated colors to determine what a snowman wears. I think Matthew will have a lot of fun with this, and really, there is no wrong answer. 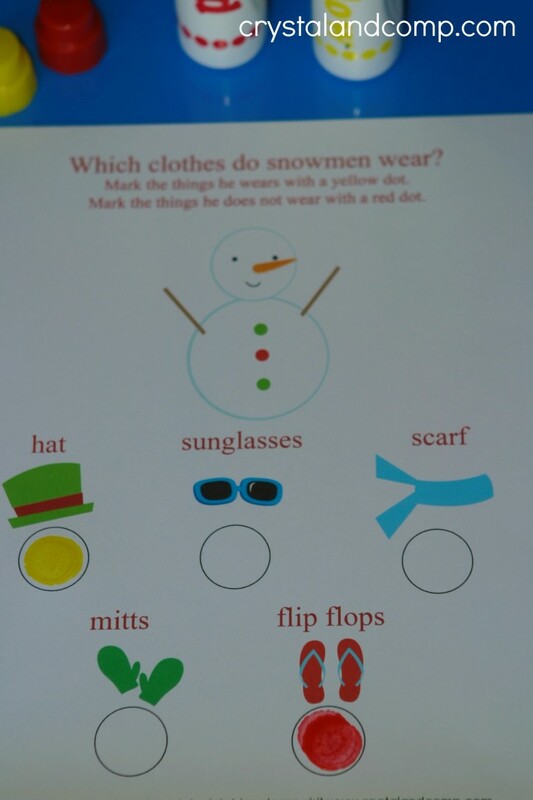 A snowman could wear sunglasses and flip flops if you wanted them to. This page is totally at your discretion. A super fun packet that you and your little one will have fun doing together as we enjoy winter (and snow) depending on where you live. Just because it is summer does not mean we can’t have fun learning at home. Maybe you’re a homeschooler like us and you will continue to learn through the summer. Either way this printable packet is perfect for boys or girls. It is all about bugs. 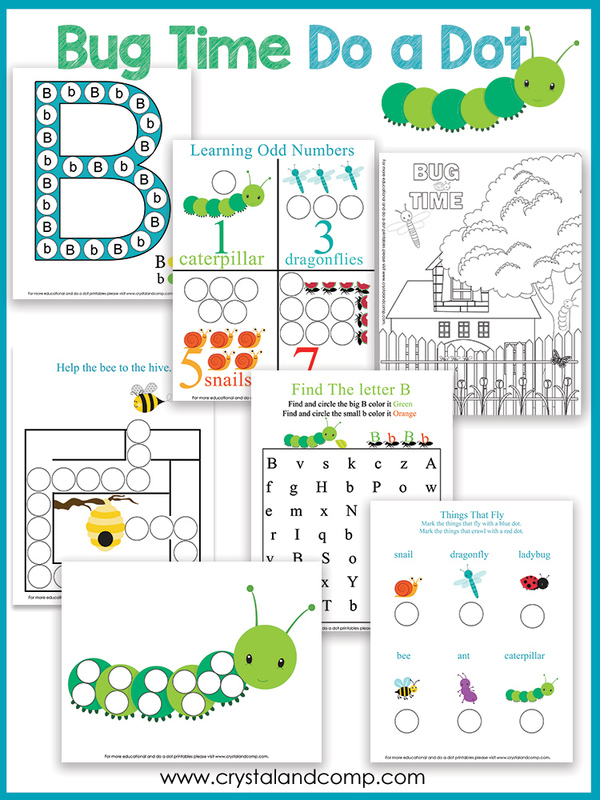 These are perfect for preschoolers and young learners! 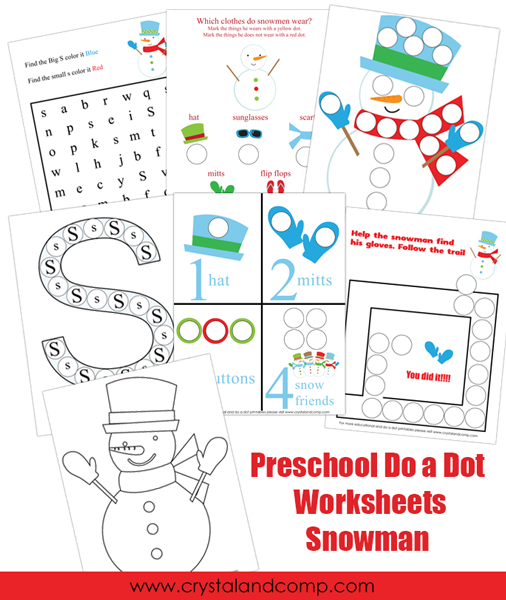 Let’s dig in with these preschool Do a Dot printables (perfect for young learners, too)! There are seven pages to this packet. Have fun learning this summer! 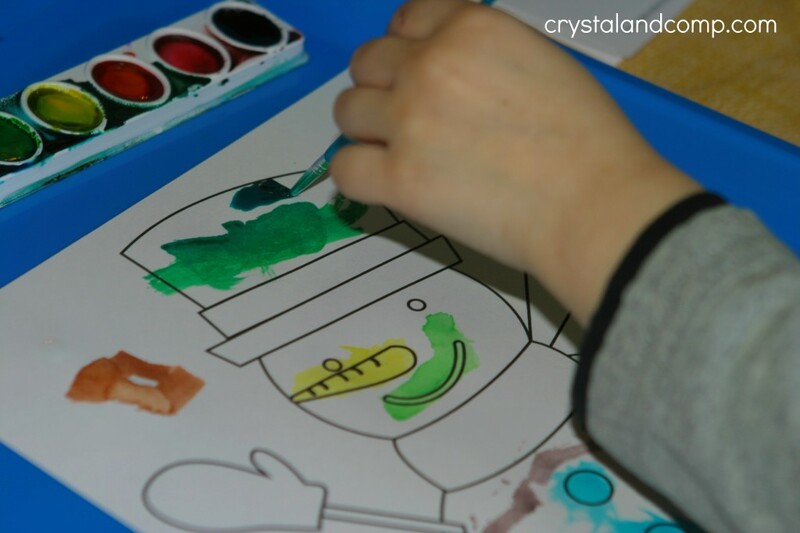 Matthew and I’ve had so much fun doing these preschool do a dot printables! We love to incorporate them into our homeschool day. 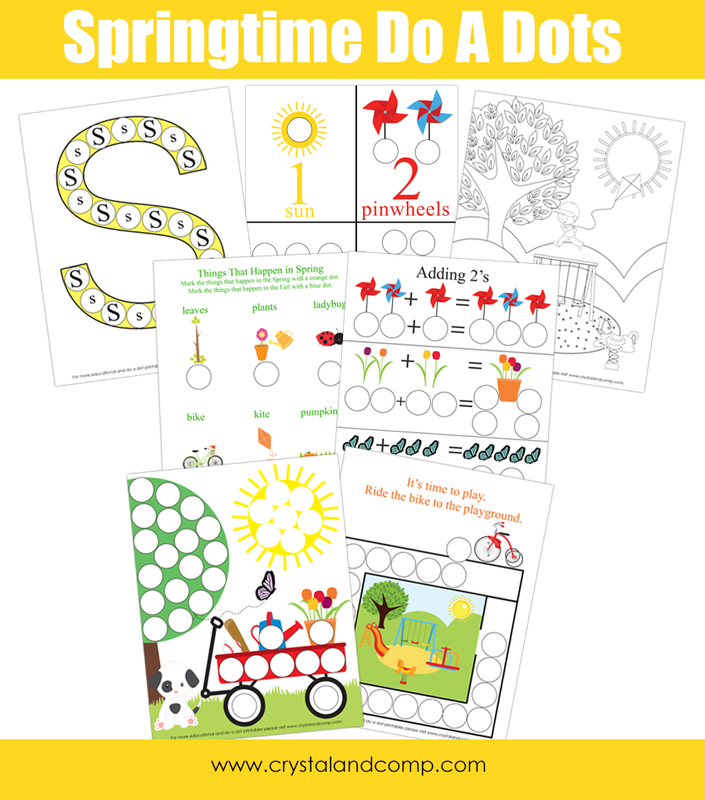 These printables are also perfect for parents doing preschool at home with their kiddos or just supplementing as time together at the kitchen table for extra skill development and enrichment. This month our theme focuses on Spring, just in time for the seasons changing! We are going to incorporate many skills. 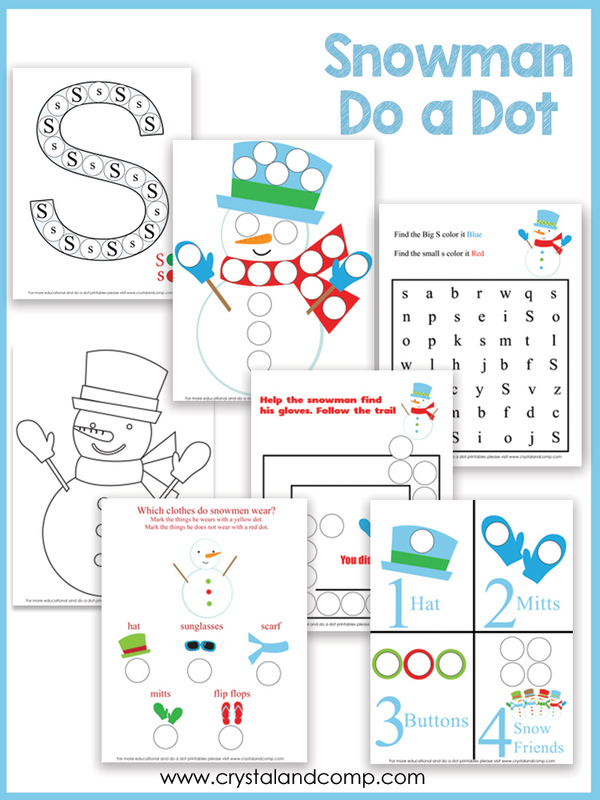 The do a dots are a great fine motor skill and following directions activity. We will do letter recognition, counting, adding, recognizing colors and using crayons for the kid color pages. We like to break these pages up over a couple of days. I prefer that learning is fun for Matthew (who will be 5 soon). You do what works best for your little one. You can do one a day, all at once, or in small chunks. Also, feel free to do these in any order you want. 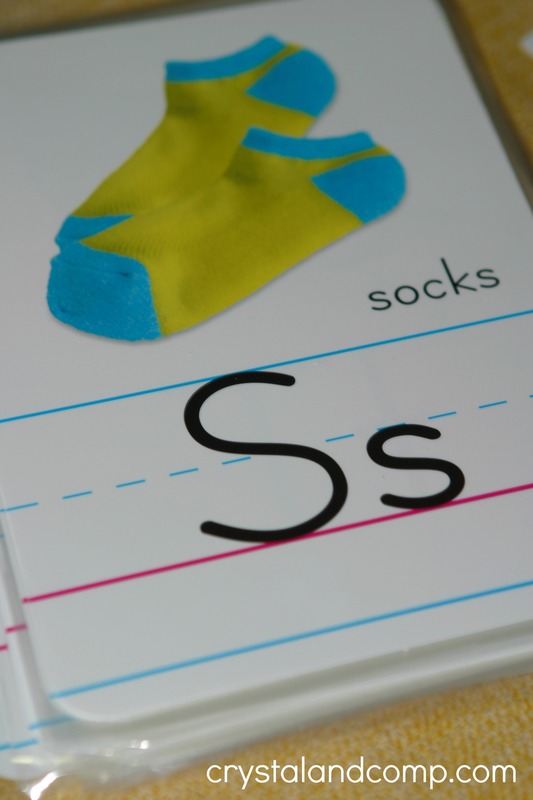 This page focuses on recognizing the big S and the little s.
Have your little one use a yellow do a dot marker on all of the big S’s. Then have them use an orange do a dot marker to find all of the small ones. 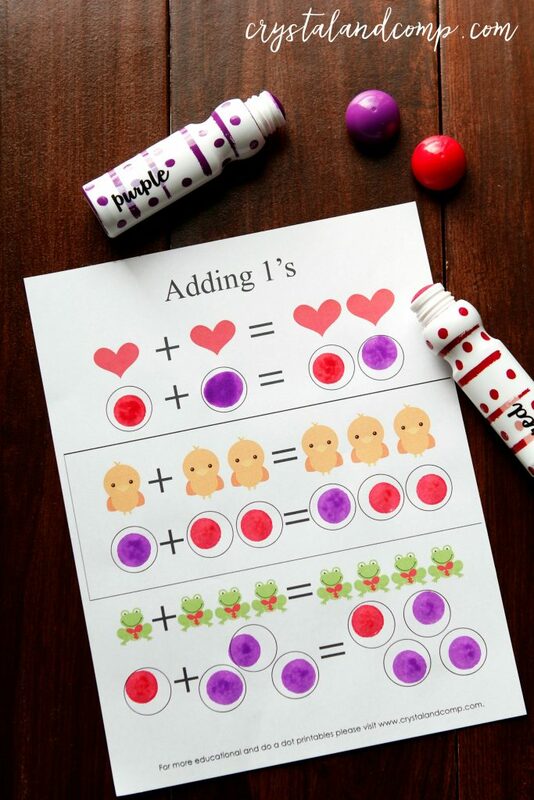 Let your little one use whatever color do a dot marker they want to count each section. 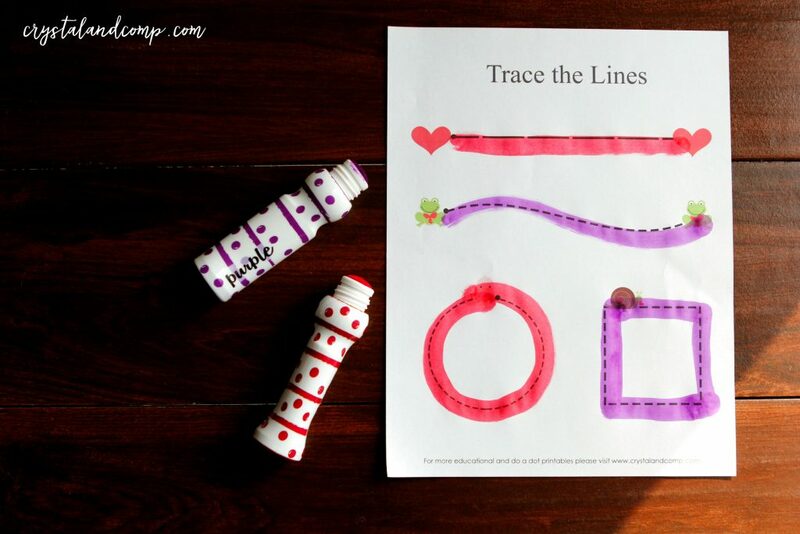 This page is fun for building those fine motor skills. 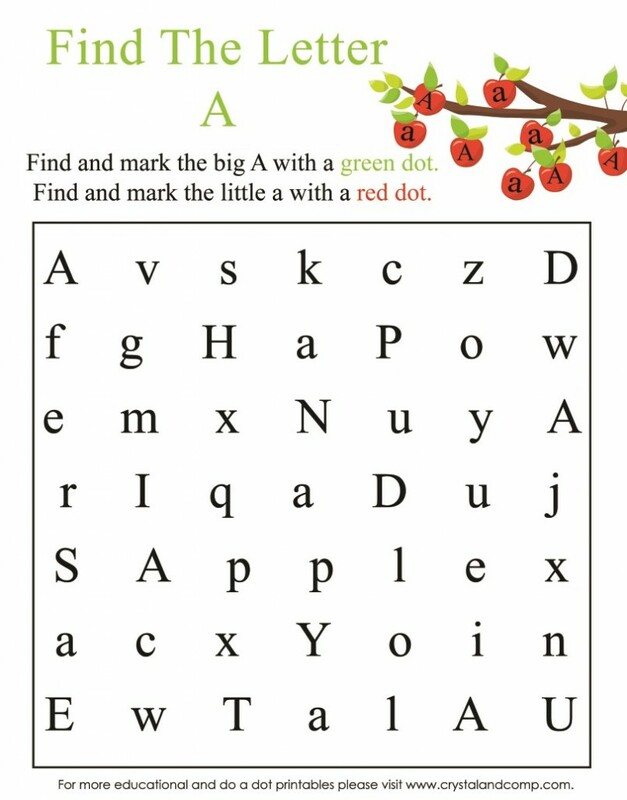 Find your green do a dot marker and fill in all of the circles on the tree. 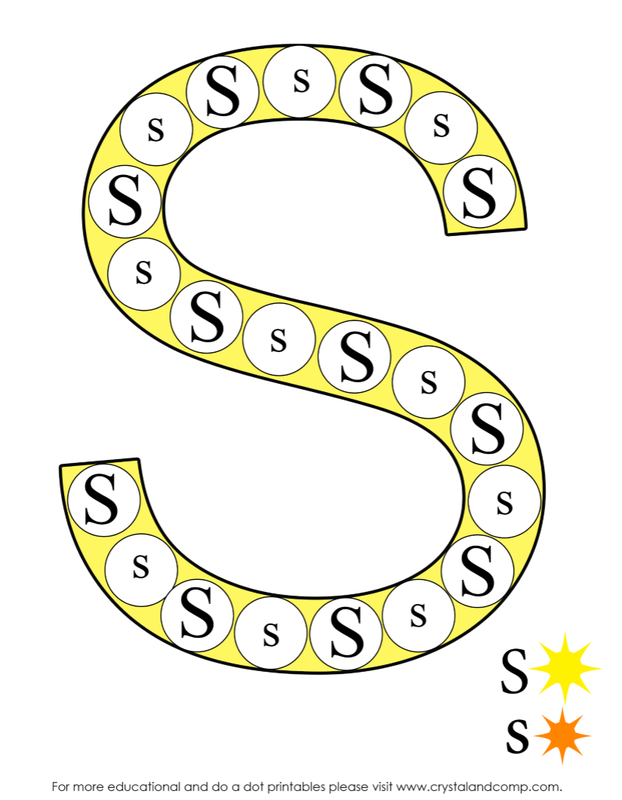 Then use the yellow do a dot marker to fill in all the circles on the sun. 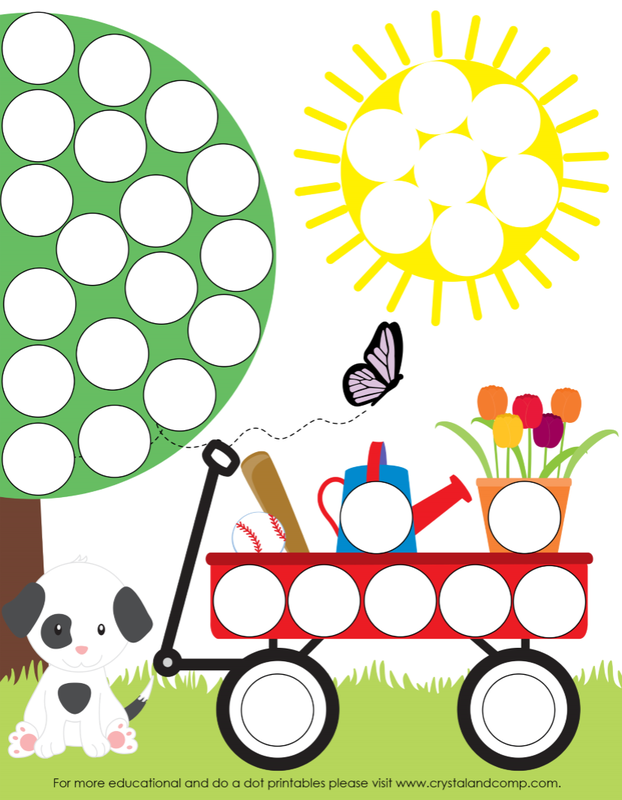 Use the red do a dot marker for the wagon and which ever colors you choose for the flower-pot, watering can and wagon wheels. This is such a fun page! This page involves process of illumination. You can skip it if your little one is too young. Mark the things that happen in Spring with the orange do a dot marker. Mark the things that happen in the Fall with a blue do a dot marker. Mark the dots under each image and count out loud. 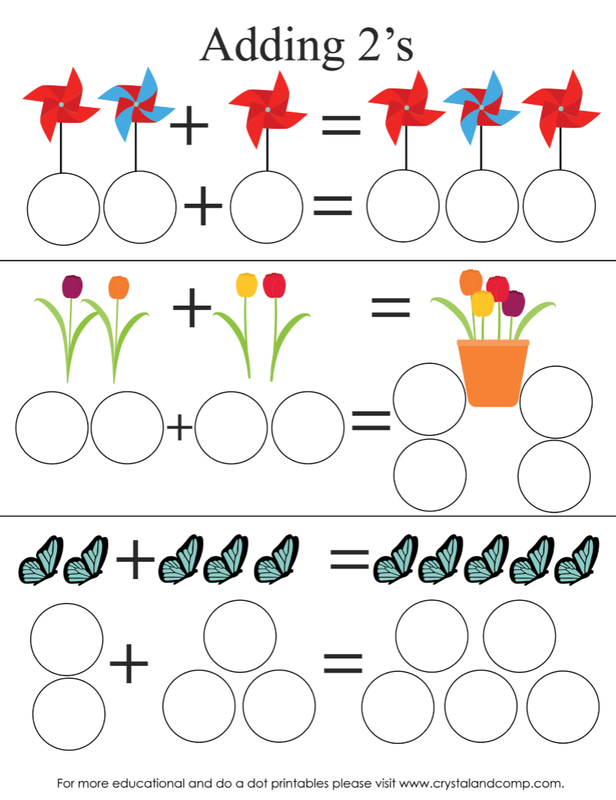 This simple math is so much fun! We love kids color pages! This is perfect for older kids too. 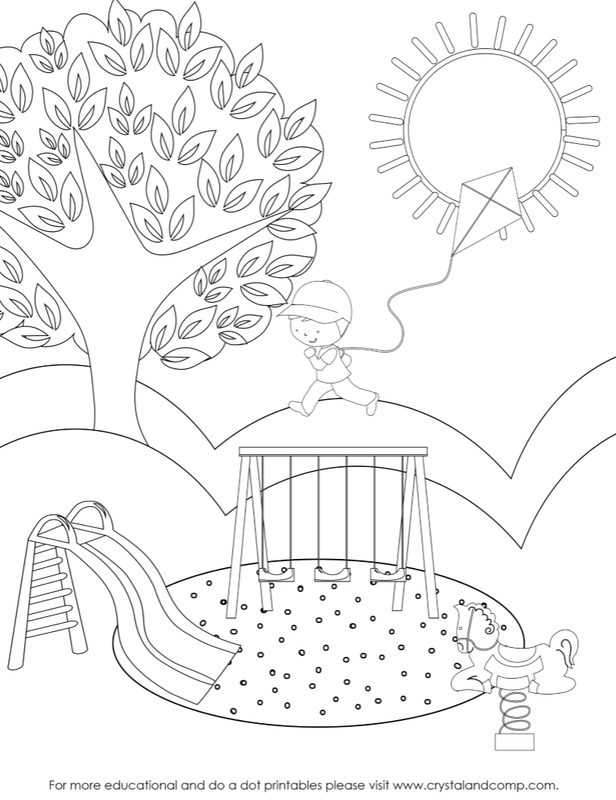 Be creative and color the Spring picture as we welcome the warmer weather! And finally there is a simple maze. 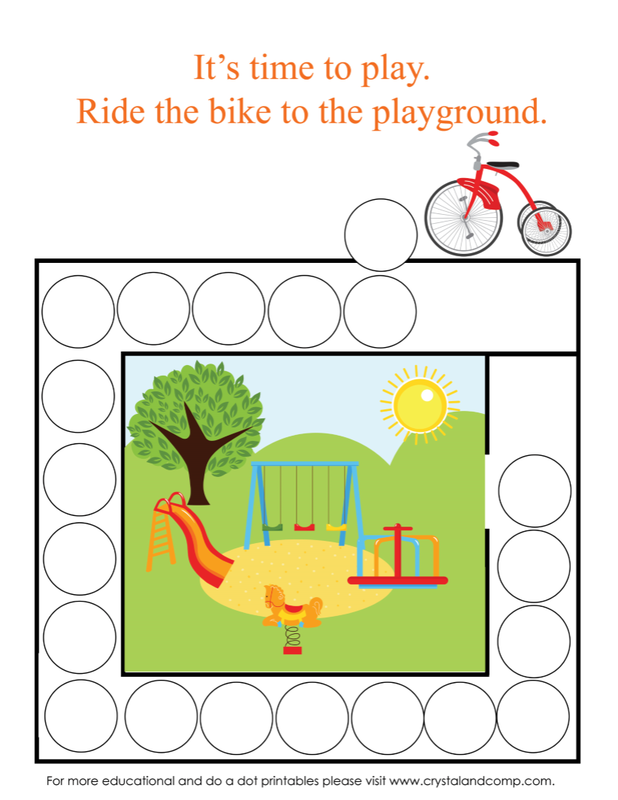 Use a do a dot marker of your choice to follow the bike to the park! Another great fine motor skill!